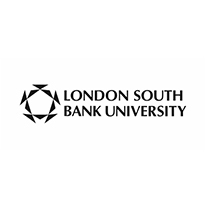 London South Bank University prides itself on being solution driven.We are committed to delivering business solutions that have a positive, concrete impact on organisations. Over 150 major companies and SME’s have formed research partnerships with us and we have completed over 160 Knowledge Transfer Partnerships with SME’s in and around London, delivering a wide range of projects that have made a real difference. Such as cooling the tube, developing FitflopTM and turning insect protein into food for the future. LSBU also offers results-driven, relevant training and cutting edge facilities including the Clarence Centre for Enterprise and Innovation. Once a pub this building houses office space, event space and meeting rooms. It is a community of organisations, student businesses and University staff who share knowledge, experience and creativity to innovate, foster success and create opportunity.